We deliver the highest quality training along with unprecedented care for your best friend. Balanced training methods produce the best results. The best training for a better life. Have a question? Want to e-mail us a note? Or need to schedule an evaluation? Click below to fill out the form. One of our trainers will contact you! Overview of Happy Dogs Boarding and Training. We ARE Different! Thank you for your interest in our facility. 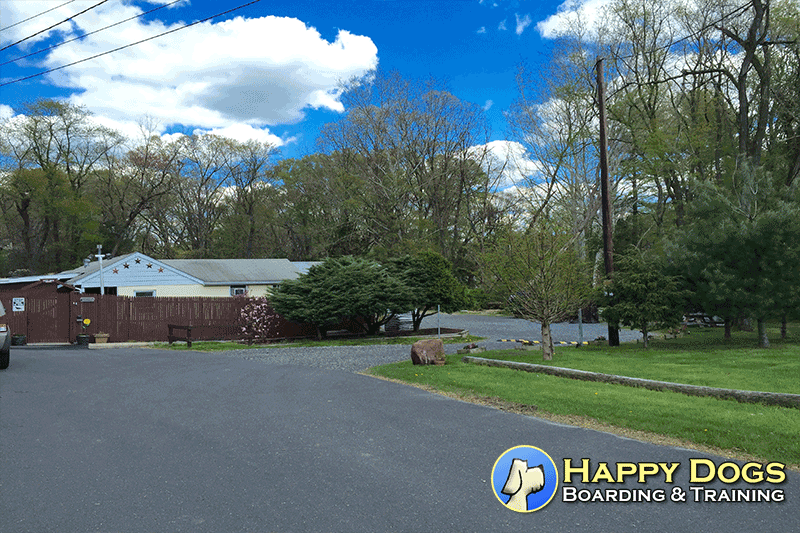 Happy Dogs Boarding and Training (HDBT) is a beautiful, full service kennel, founded with the busy dog owner in mind. HDBT is owned by professional trainers, with over 25+ years of experience. By continuing education and testing of our staff, we maintain a recognized level of competence in pet care, and specialize in delivery of safe and effective dog training. HDBT is not a high volume based facility, allowing us to give you and your pet personal attention! Providing a high standard of professionalism and knowledge in a safe, secure, pet, and people-friendly environment is our goal. It is our mission to deliver the very best dog training with unprecedented care all the while keeping your dog relaxed and comfortable. Happy Dogs Boarding and Training represents everything big box pet retail store training is not. We have all of the latest technology in professional dog training and your dog’s visit with us will be engaging and comfortable. Trips to Happy Dogs Boarding and Training are experiences you and your dog can look forward to – where you can rest assured knowing our experienced team is delivering first class care using up to the minute technology and years of experience. We treat your dogs the same way we treat our dogs that go on to executive protection or movie roles. You’ll find Happy Dogs Boarding and Training has consistently received a stamp of approval from our clients. We always encourage those who are considering training with us to read our reviews, testimonials and speak to past clients on why entrusting HDBT was the right decision. Most dog trainers aren’t…but we are. HDBT maintains comprehensive licensing and insurance in the state of New Jersey. Every member of the Happy Dogs Boarding and Training team is committed to high standards in safety and follow all procedures in operating a boarding kennel. Our trainers provide the best in care and service at our state of the art facility in South Jersey. You will not find another full service dog training school in South Jersey, Delaware or Philly areas that can live up to what we have to offer in training that is tested at the highest levels of competition.